There has always been something idiosyncratic about the Yoshi games – being super bright and cartoony, ideally suited for children; yet equally Yoshi wanders around the world eating his enemies alive. 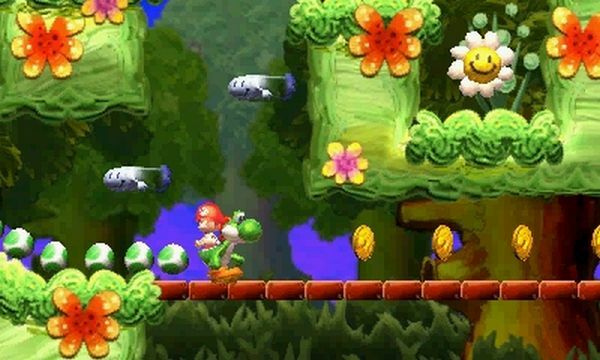 Yoshi’s New Island does not resolve this morally complex issue, but it does offer more worlds to explore, eggs to collect and – yes – enemies to consume. Yoshi is carrying his young charge again, Baby Mario, who is at risk of being kidnapped by monsters when Yoshi is hurt (Baby Mario starts to drift away in a bubble, along with a ten second timer beginning to tick; although he can be recollected… but not eaten, for the record). However, the worlds are more about exploration – Yoshi’s abilities to fire giant eggs at breakable walls or to start madly peddling in mid-air to extend a jump leaving you considering where you may find alternate routes. This is emphasised with the binoculars found on some levels. When touched, the display changes to show a longer view of the level map; lifting the 3DS allows you to use the inbuilt gyroscope to pan around, spotting areas you may have missed or distant targets to fire at. 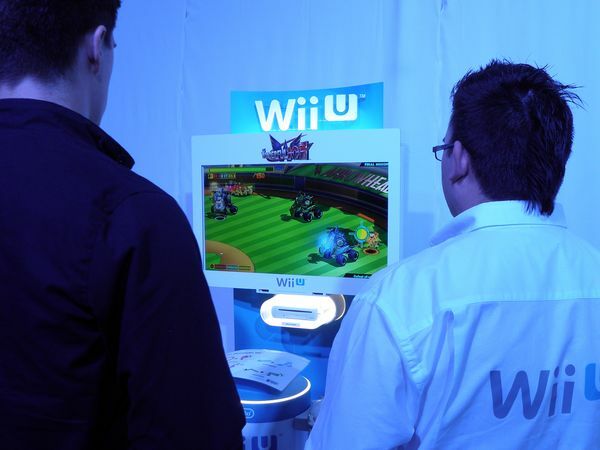 And while this may be a gimmick, it is a well done gimmick – as someone who doesn’t find motion controls completely natural, it was nice having these views move around without any immediate pressures from the environment (the world seems to pause during the viewing). 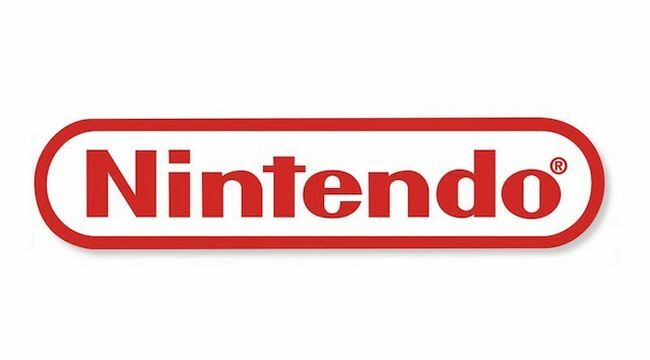 If there is one thing that Nintendo do well, it is platform games; and if there is a second thing, it is make games that can appeal to a wide age range. And yes, they also get criticised for following in their own footsteps closely as well; but even if Yoshi’s New Island does feel familiar to fans of its predecessors it doesn’t detract from some of the pleasure of exploring a game like this. 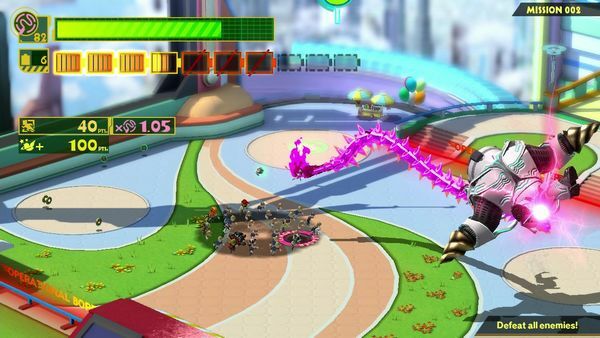 And to conclude, after a selection of titles that follow in the footsteps of others – sequels and reboots and franchise continuations have become the standard, even allowing for how fun they can be and how eagerly anticipated they are – Wonderful 101 stood out simply for being something different. The world is being invaded by aliens – but the planet stands a chance, thanks to the superheroes ready to face them… Except the heroes are more effective when working in large groups, leading to them conscripting civilians they encounter throughout the levels. 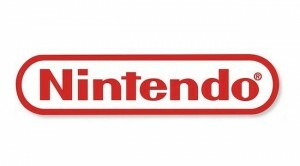 From the player’s point of view, the superheroes’ powers are controlled by drawing onto the Wii U’s controller – an L shape becomes a gun, while a straight line becomes a sword, to give two examples. The larger the hero team, the stronger these items will be (although guns also fire heroes as ammunition, for example, meaning some management is needed too). While regular enemies on the whole won’t give you many problems regardless of how you face them, bosses tend to require specific skills – in the demo a large armoured robot needed the heroes to form a whip, pulling off armour sections piece at a time, while a giant amoeba seemed immune to everything except the sword which was long enough to hit a vulnerable area inside. The game does have a very tongue-in-cheek style – the alien invaders have a certain 50s B-movie look to them, the amoeba boss mentioned is only dislodged from its spaceship when shaken out, and seeing dozens of little people scurrying around as a single large group is silly in the best possible way. However, this may also be one of the game’s issues – I will admit that the sheer level of activity on screen was a touch overwhelming for the first few minutes, at least until realising how to keep everyone under control. However, getting something visually striking while also different and new isn’t a surprise when you realise that the game’s director is Hideki Kamiya, who was also behind 2003′s Viewtiful Joe on the Gamecube and 2006′s Okami on the PS2 – both also being visually striking and different games. The whole experience has a comic feel to it, in both the superhero and humour meanings of the word, and as something that is simply new and different it feels that the game should have received more attention than it has so far.